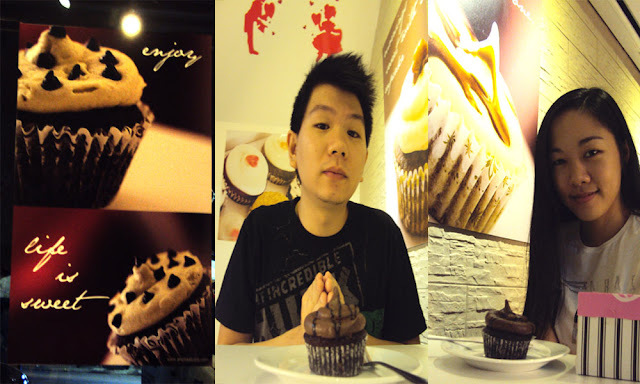 Recently, another new cupcake place opened in Banawa (very convenient location for me), called CupcaKen. The red velvet cupcake there was okay, but it was pretty ordinary. The mango cupcake was a big disappointment. =l But we did find a really good cupcake there.. The ChocoHazelnut cupcake was reeaallyy good. With Nutella. Easily became Kenny's favorite. 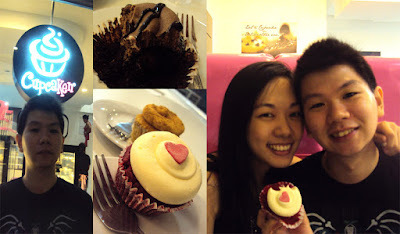 Gotta say it's my #2. :) #1 still goes to Leona's red velvet cupcake.